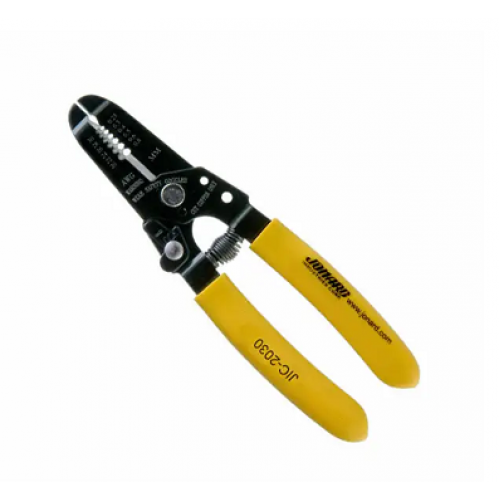 These are higher grade wire strippers from Jonard Industries with a comfortable, curved grip making them an affordable option if you need to remove the protective sleeve from a desired wire. These are an essential part to any hacker's arsenal and are able to strip 20-30AWG solid core and 22-32AWG stranded wire nicely. These Wire Strippers even have a locking mechanism to make sure you don't accidentally damage a wire before stripping and to help protect the hardened steel tool heads.